Work Credits: To qualify for Social Security Disability Insurance (SSDI) benefits, a worker must have between 20 and 40 work credits, depending on the victim’s age and when the disability began. Workers can earn up to four work credits each year. 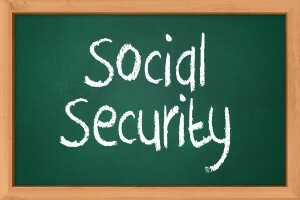 Starting in 2017, workers must pay Social Security taxes on a minimum of $5,200 during the year to earn four credits. This is up from $5,040 in 2016. The increase does not affect those who have already earned sufficient work credits. Maximum Monthly Benefit: In 2016, the maximum amount a Social Security Disability recipient could receive was $2,639. That amount has been raised to $2,687 for 2017. This is approximately a 1.8 percent increase. Although just a small percentage of disability claimants are eligible to receive the maximum benefit amount each month, those who do can expect to receive this increase in back pay as well. Cost of Living Adjustment (COLA): The SSA bases monthly payment amounts on the Consumer Price Index as reported by the Department of Labor’s Bureau of Labor Statistics. After not receiving any COLA in 2016, Social Security Disability recipients will see a small increase in their monthly payments of about 0.03 percent in 2017 due to recent inflation. This increase is designed to help beneficiaries cover increases in costs incurred throughout the year. For the average beneficiary, this amounts to about $4 more each month than they had received in 2016. The change is expected to affect approximately 60 million disabled and retired Social Security recipients. Thresholds for Substantial Gainful Activity (SGA): To qualify for SSDI, a claimant cannot have income from employment that exceeds the threshold for SGA. For non-blind recipients, the SGA threshold has been increased from $1,130 each month in 2016 to $1,170 in 2017. The SGA for those who are blind has also increased from $1,820 per month to $1,950. This is the largest increase in history for blind disability recipients. The threshold increases for SGA could mean that more disabled victims will be eligible for SSDI benefits than in previous years. Trial Work Period (TWP) Threshold: Some disabled individuals in certain circumstances can still attempt to work while receiving SSDI benefits. When monthly income from a work attempt exceeds the specific earnings limitation, however, that month is counted towards the victim’s TWP. In 2016 the TWP threshold was $810 per month. This limit has been increased by $30 to $840 each month for 2017. When disabled victims have limited income and resources, they are sometimes eligible to receive Supplemental Security Income (SSI) benefits. For those with adequate work credits, SSI benefits are in addition to SSDI payments. Disbaled victims with limited financial resources who do not qualify for SSDI benefits may only receive SSI payments each month. In 2017, the financial resources limits for disabled victims and couples have not changed. To be eligible for Supplemental Security Income benefits, each individual cannot have more than $2,000 in financial resources. For couples who receive SSI benefits, when both partners get payments each month, combined total financial resources cannot exceed $3,000. For 2017, approximately 8 million SSI recipients will see a small cost of living adjustment however. Disabled individuals can now receive up to $735 in SSI payments each month, and couples who both receive benefits can receive up to $1,103 in combined monthly payments. In addition to the financial changes that disability recipients will experience in 2017, a few rules pertaining to medical evidence will have an impact on claims and benefits as well. Acceptable Medical Sources: The new medical evidence rules have expanded the list of acceptable medical sources. Physician assistants, advance practice registered nurses, licensed optometrists and licensed audiologists are now included on the list. Despite many disabled mental health victims relying on licensed clinical social workers, LCSWs were not added to the list for 2017. Treating Physician Rule: In the past, the opinions of a victim’s treating physicians were given substantial weight in a disability case when compared to the opinions of other, non-treating medical professionals. Now, the SSA will weigh medical evidence based on persuasiveness and consistency. When a serious mental or physical condition prevents a victim from working SSDI and SSI benefits can help make ends meet. Staying on top of the current SSA regulations can make all the difference in the success of a claim.